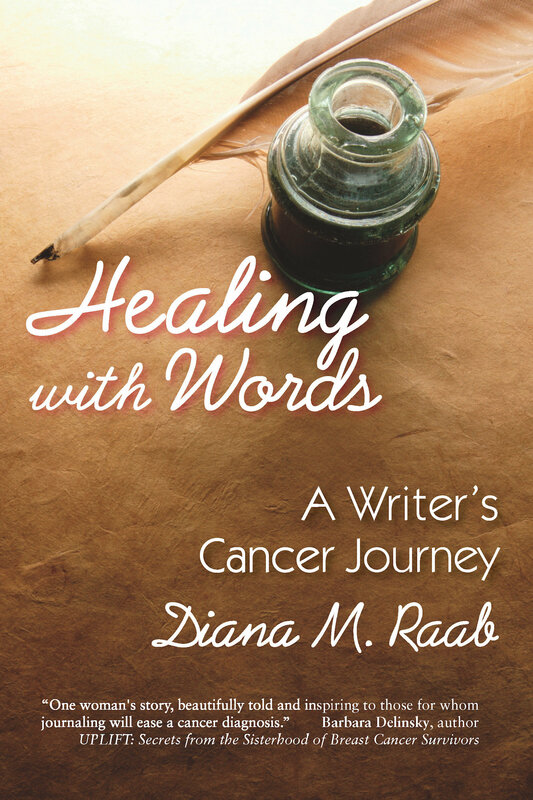 Healing With Words: A Writer’s Cancer Journey is a compassionate and wry self-help memoir written by an award-winning prolific author, nurse and poet, who at the age of forty-seven found her life shattered first by a DCIS (early breast cancer) diagnosis and five years later by another, seemingly unrelated and incurable cancer--multiple myeloma. The book includes the author’s experiences, reflections, poetry and journal entries, in addition to writing prompts for readers to express their own personal story. Raab's journals have provided a safe haven and platform to validate and express her feelings. Raab views journaling to be like a daily vitamin--in that it heals, detoxifies and is essential for optimal health. "One woman's story, beautifully told and inspiring to those for whom journaling will ease a cancer diagnosis." "Time after time, Diana articulates incisively the thoughts and feelings that convey hoped-for meaning and encouragement. She is a woman who knows what it is to live fully in the face of mortality. She will add value to the life of every person who reads this book. Healing With Words resonates at a spiritual level for me."